The Sunday Salon [10.28.12] – my books. my life. This morning we are heading to Phillipe Park to get our first family portraits done. Hopefully the crazy wind has died down a little bit and the sun decides to make an appearance. But at least Evan will be cute no matter what. Later today I have my book club meeting. For Halloween, we read We Have Always Lived in the Castle (a reread for me), The Legend of Sleepy Hollow, and Stephen King’s The Mist (which, as of Saturday night, I still have not read). So how am I doing on my challenges? 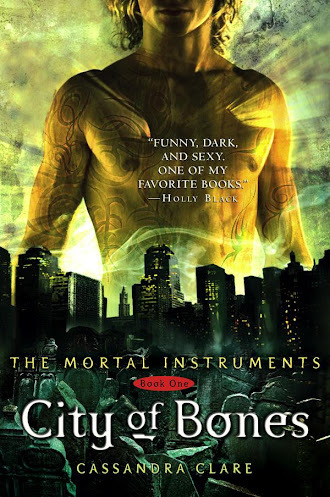 Yep, still reading City of Bones. BUT, I am actually making some progress and hope to finish it by the end of the month. I have really got to figure out when to read. Last week, I shared Amy’s RMOB post here, and this week Hilary from Adventures in Never Never Land posted about how she is going to join in the fun and read her own books for the rest of the year as well. Some others are starting in November. Let me know if you’re one of them. I made some snickerdoodles. But I hadn’t pinned any snickerdoodles. So, um, yeah, still failing this one. I hope you have a pleasant and successful photo shoot! I can’t say that I look back on those events with much fondness. When they are babies, they are always hungry, when they are toddlers, at least one of my kids refused to cooperate. I’m glad we persevered though because those pictures are precious to me now! HOpe the photo goes smoothly!